Bassist William Parker and saxophonist and trumpeter Daniel Carter revisit the duo format they explored to thrilling effect in the late 1970s, as documented on last year's incredible Centering boxset. Carter's anarchist beliefs translate into a cooperative approach to musicmaking, while Parker has explored his engaged vision of art through big band projects, small groups and the annual Vision Festival. One of the major thinkers of the radical black tradition, Amiri Baraka is a dynamic performer of poetry. 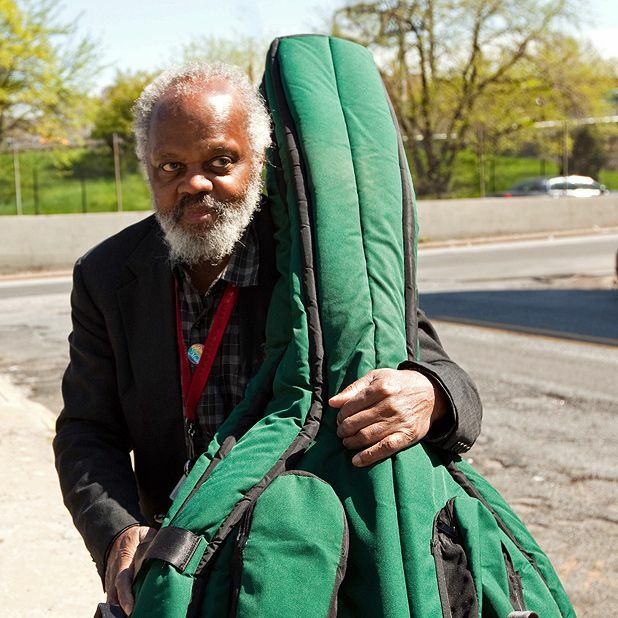 He's joined by the great bassist, Henry Grimes. Having worked with Charles Mingus, Cecil Taylor and Albert Ayler, Grimes disappeared in the early 70s. Discovered in 2003 living in Los Angeles, he has returned to music with renewed fervour. The black radical tradition meets European improvisation in this summit between trumpeter Wadada Leo Smith and pianist John Tilbury. 2012 saw the release of Smith's great project, Ten Freedom Summers, a four-hour suite based on the American Civil Rights movement. Closely associated with the Marxist composer Cornelius Cardew, Tilbury's left-wing politics continue to inform his avant-gardism. Canadian writer and activist M NourbeSe Philip is renowned for her explorations of language, race, gender and colonialism, manipulating words like a jazz musician reshapes notes. Zong! is her anti-narrative poem about the 1781 Zong massacre, where some 150 Africans were murdered aboard a slave ship sailing from Liverpool. This powerful collective performance takes in song, chant, glossolalia and howl. Thu 18 Apr, 7.30pm; Sun 21 Apr, 8.30pm. Born in the Dominican Republic, Teresa Maria Diaz Nerio works with performance, video and sound to explore issues of sexuality and gender. She often engages in the re-contextualisation of historical images and texts, and in this 'performed film lecture' she uses dance, sound and melodrama to investigate the subversion of gender and race identities in 1940s and 50s Caribbean cinema. Performances, discussions and conversation between American and Canadian jazz musicians, writers and poets, their European colleagues and people in Glasgow with something to say in return, concerning the difficulty of achieving freedom and how we relate to art forms that imply or invoke the concept of freedom.